Ozhotels provides business and leisure travellers with a directory of independently owned and non-related hotels and serviced apartments providing accommodation in the Darling Harbour. Oz hotels allows you to deal directly with the hotels and apartments in Sydney, hence giving you the best possible rates for this Darling Harbour accommodation. 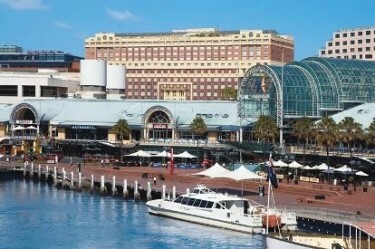 Book your accommodation online directly with the hotels in Darling Harbour and receive discount rates for longer stays !!! Darling Harbour is located on the western side of the Sydney CBD and is the playground for Sydneysiders as well as a major tourist attractions for visitors to the city. It has a lively concentration of the city's hottest night spots and coolest bars, as well as a literal smorgasbord of fine dining establishments and cafes that ensures that you will have little trouble finding a great place to eat. Darling Harbour also hosts 6 free major annual events including the stunning Australia Day spectacular, the Latin American-inspired Fiesta, a Jazz & Blues Festival and the Hoopla acrobatic and street theatre festival. Other attractions in and around Darling Harbour include the Sydney Aquarium which is one of the largest aquariums in the world, the big screen IMAX Theatre, the Australian National Maritime Museum, Powerhouse Museum, Star City Casino with its variety of live shows and entertainment activities and even the tranquil Chinese Garden of Friendship. For luxury studio, 1 and 2 bedroom apartment accommodation in Sydney stay at the Oaks Goldsbrough Apartments which is close to the Darling Harbour and the Sky City Casino. With such a central location the Oaks Goldsbrough is conveniently positioned so that guests can take advantage of some of the nearby local attractions including Darling Harbour 2 minutes walk away, Central Station 10 minutes by car, CBD & Chinatown 5 minutes by car and Circular Quay 8 minutes by car. The apartment accommodation at the Oaks Goldsbrough Apartments Sydney is conveniently situated on Darling Harbour and offers guests a charming reminder of Sydney's colourful past. The APX Apartments Darling Harbour (formerly known as the Quest on Dixon) features a range of luxury studios & 1 bedroom self contained serviced apartments that are perfect for corporate & leisure travellers. The APX Apartments Darling Harbour has a number of guests facilities and services including Business Centre, Conference Centre, Faxing Facilities, Guest Laundry, Lift, Tour Desk, Airport Shuttle and Babysitting Service which will make you feel right at home the next time that you stay. 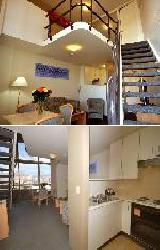 APX Apartments Darling Harbour, Sydney is a quality alternative to traditional hotel accommodation or boutique Darling Harbour apartments, offering spacious self contained studios and serviced 1 bedroom apartments for the price of a hotel or motel room. 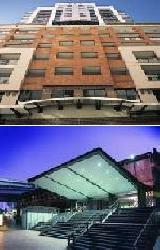 The Metro Apartments on Darling Harbour is a fantastic Sydney accommodation for both business and holiday travellers. With such a central location the Metro Apartments on Darling Harbour is conveniently positioned so that guests can take advantage of some of the nearby local attractions. The Metro Apartments Darling Harbour is within easy access of all major attractions such as the Sydney Aquarium, IMAX Theatre, Cockle Bay Restaurants, Maritime Museum, Chinatown, Sydney Entertainment Centre, Powerhouse Museum and the Sydney Convention and Exhibition Centre. 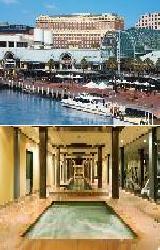 All the fun and excitement of Sydney's shopping, entertainment and tourist attractions are right at your doorstep. The Metro Apartments provides guests with discount Darling Harbour apartments that are also within an easy stroll of the city's major tourist attractions where you will find Sydney's liveliest entertainment.